Big Rigs for Kids is a free event, that travels through several communities in Surrey, offering family fun while supporting a great cause. 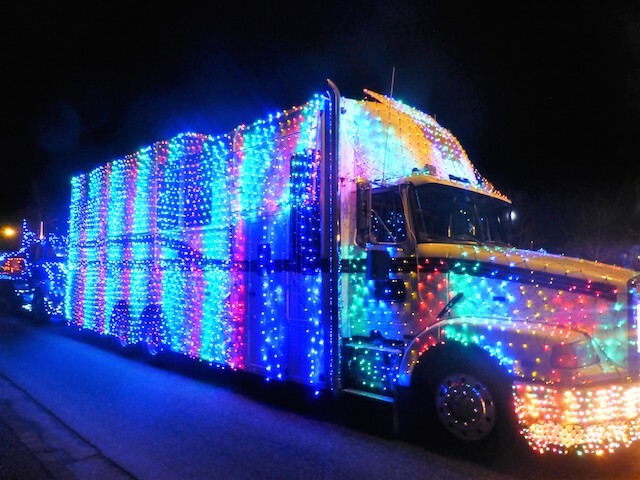 This lighted truck parade will illuminate Surrey, starting at the Surrey Santa Parade in Cloverdale, and will be followed by live entertainment, snacks, and more over at Surrey City Hall. The 13th Annual Surrey Santa Parade continues to grow in popularity and we continue to see new entries like Western Pacific Enterprises 50 foot decorated crane. The parade has a wonderful mix of antique vehicles, big rigs, boats, floats, marching bands, mascots, remote controlled vehicles, dancers, service clubs and sports teams. Please join us for an evening of fun that is held in the charming historic town centre of Cloverdale. 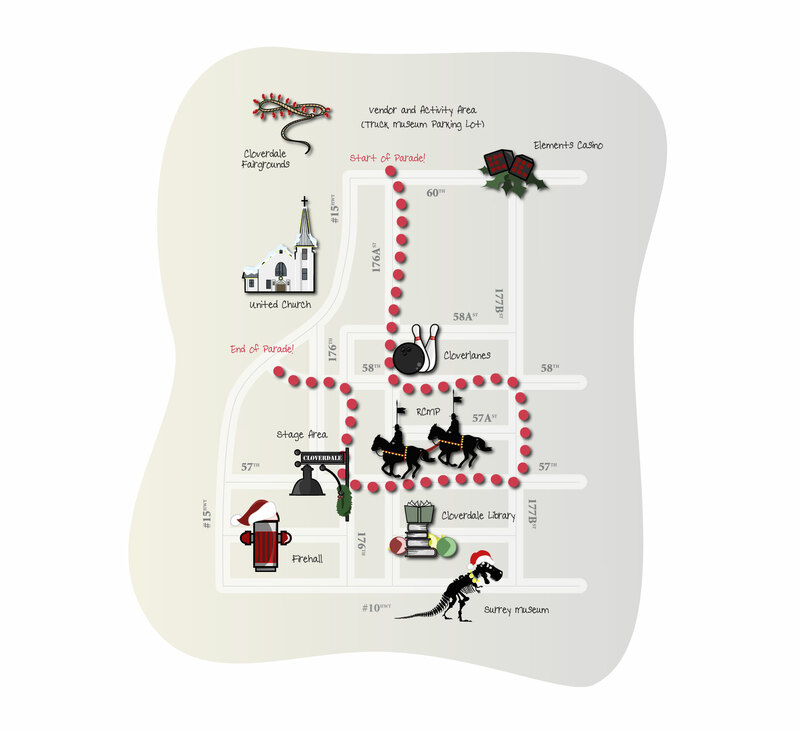 There will be several groups along with the route selling food and novelties, with proceeds going to charity. Please consider bringing a non-perishable food donation or gift item for the Surrey Food Bank and the Surrey Christmas Bureau. The Big Rigs for Kids begins at the front of the Surrey Santa Parade of Lights and then form a convoy and travel to the City Hall Plaza to form a display of lights until 8:00pm. The Surrey Food Bank and Surrey Christmas Bureau will also be taking donations of food, toys, and cash. The convoy is partly comprised of a special group of highly decorated Big Rigs from the Island Equipment Owners Association. You can view the lighted convoy as they cross Surrey. The convoy is expected to leave Cloverdale at approximately 5:20pm, on its way to Surrey City Hall.